Do you know that your Facebook data have been shared with Cambridge Analytica? 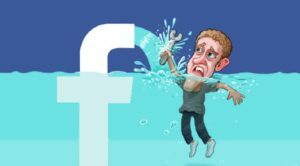 The Facebook data leak news hit the ground and users are furious about it. And, the Facebook official declared that you might be one of those 87 million people whose data was shared to Cambridge Analytica. However, Facebook has started the process of notifying those affected users individually; but users can individually also check by going to a new help page on the official website. The Facebook users aren’t happy; mostly they are getting the message as “neither you nor your friends logged into ‘This Is Your Digital Life.’” It was the personality quiz used by Cambridge Analytica to collect data during the election. But, if you or any of your Facebook friend received this message as “a friend of yours did log in”, then you need to worry. You have been trapped in the Facebook Data Leak. This means their public profile, page likes, birthday, personal contact and current city were likely shared with the company, as well as potentially the contents of their news feed at the time. This is shocking to many of users, investors, lawmakers and even some top executives after the massive data leak of Facebook. Facebook CEO Mark Zuckerberg was in front of Congress from past two days to describe the “breach of trust” with research firm Cambridge Analytica. Cambridge Analytica purchased these sensitive personal data from the app developer Aleksandr Kogan. This news could be surprising for Facebook users that it already warned of third-party breaches and potential government regulation in the year 2012. It was when it first filed to go public; in the past six years there were no significant moves for Facebook’s data control and privacy problems. They predicted this problem a long way back 6 years.